QuiltCreator.com is unique in that it lets you seriously customize a quilt, bedspread, or wall hanging that will be hand sewn/quilted and sent to you. The company describes their products as all being “approved by Cotton Inc. and are 100% pure Cotton overfilled with 250gms of cotton.” They go on to further explain that “every piece is handcrafted upon order and is truly a one of a kind item.” After having used their site to create a few different quilts, I can agree that these are truly a one of a kind item! How it works: You create an account with QuiltCreator.com (basic information, no credit card required–you’ll need to do this to save your quilt designs) and then log in to their “Customizer.” This section of the website lets you choose the type of product you want to create (quilt, bedspread, or infant quilt/wall hanging), the theme of that product (do you like a Cathedral Window pattern, or a Double Wedding Ring pattern? ), and the fabrics used. You can also opt to have a backing material on the quilt and matching pillow shams. The end product is handcrafted and shipped to you in 6-8 weeks! 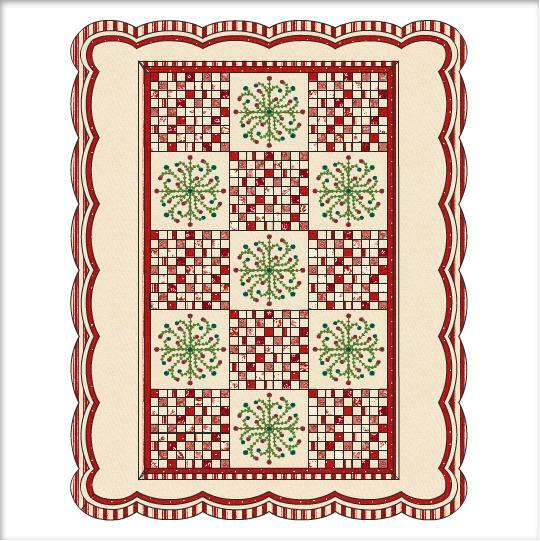 What I thought: Before I even contacted QuiltCreator.com, I tried out their website. It was so much fun, and so much easier to design a quilt using their program rather than standing in a fabric store for hours trying to visualize what the finished product might look like! Being a quilter myself (even though I haven’t done one ounce of quilting since having my daughter), I am really thrilled by the ability to place different fabrics next to each other in the quilt template before anything’s actually cut. If you don’t like what it looks like, you can just plop another fabric choice in its place! My favorite quilt that I designed is on the left. I’ve been wanting a “Christmas” quilt for a while, and thought this one turned out pretty nice! I’d definitely use QuiltCreator.com as a gift giving tool for my MIL who loves quilts but doesn’t make them. In fact, a gift certificate is my plan for this year’s Christmas. 🙂 I’d also recommend using QuiltCreator.com as a way to practice fine motor skills, decision making, and color education with kids or adults with developmental disabilities. The possibilities are endless, the website very easy to use, and using their Customizer is just plain fun. Now, I haven’t actually ordered a quilt, so I can’t tell you of the quality. With prices ranging from $129.99-$279.99, though, I wouldn’t really mind a lower quality quilt. I’ve made quilts and I know how ridiculously long they take to actually put together! I also know that the Amish women around here will sell their quilts for hundreds of dollars! I think this is a pretty great deal, and much better than buying a pre-made quilt from a store. You can also become a fan of Quiltcreator.com on Facebook to view project photos and get updates. That Quilt that you made for a christmas quilt is lovely! My mother-in-law would love something like this! I will have to look into it! Thank you for sharing! 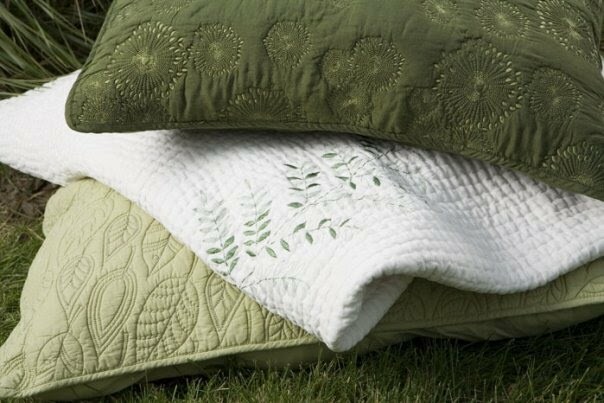 I love quilts, but have never been able to find one that's “just right” to justify the expense. When I get a free moment, I'm going to try this out!